This Mil-Spec stock kit includes a carbine length stock, end plate, stock nut, aluminum carbine buffer tube, buffer and buffer tube spring. 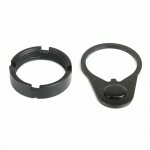 The stock locks in 6 different positions and features a black matte finish with built-in sling swivel. 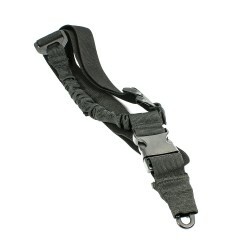 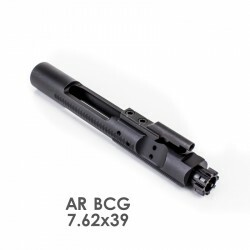 This 64" single point sling has both the standard nylon sling and an elastic bungee to reduce snap a..
Each of our Mil-Spec Bolt Carrier Group Assemblies is made in the U.S.A. and feature full-auto capab.. 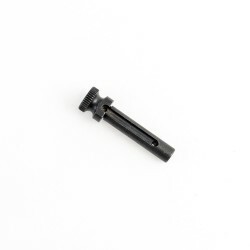 This is our standard AR-15 Charging Handle Assembly. 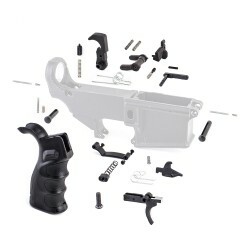 Comes with protective plastic packaging. 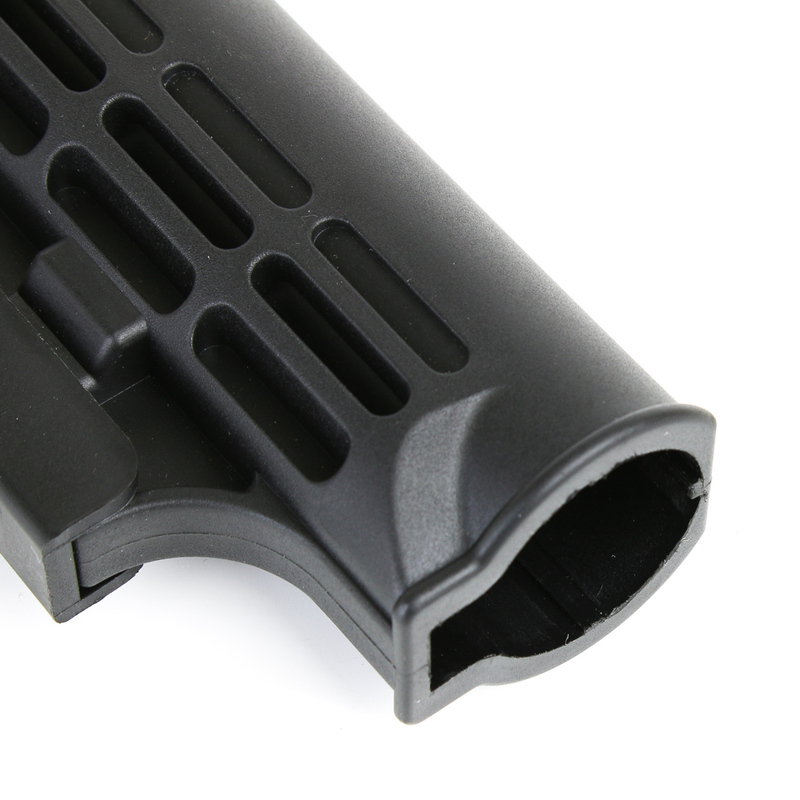 Featu..
Standard AR-15 charging handle body with oversized Steel latch with cross pattern installed. 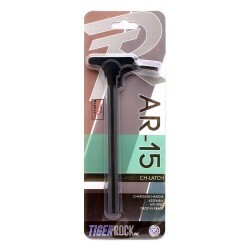 Comes w..
Standard AR-15 charging handle body with oversized ambidextrous Steel latch installed. 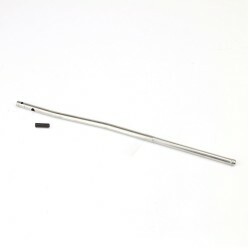 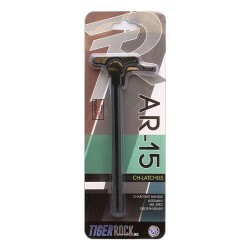 Comes with pr..
Standard AR-15 charging handle body with oversized, grooved Steel latch installed. 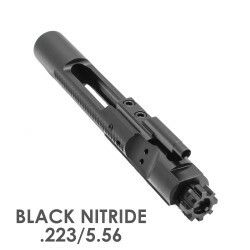 Comes with protec.. 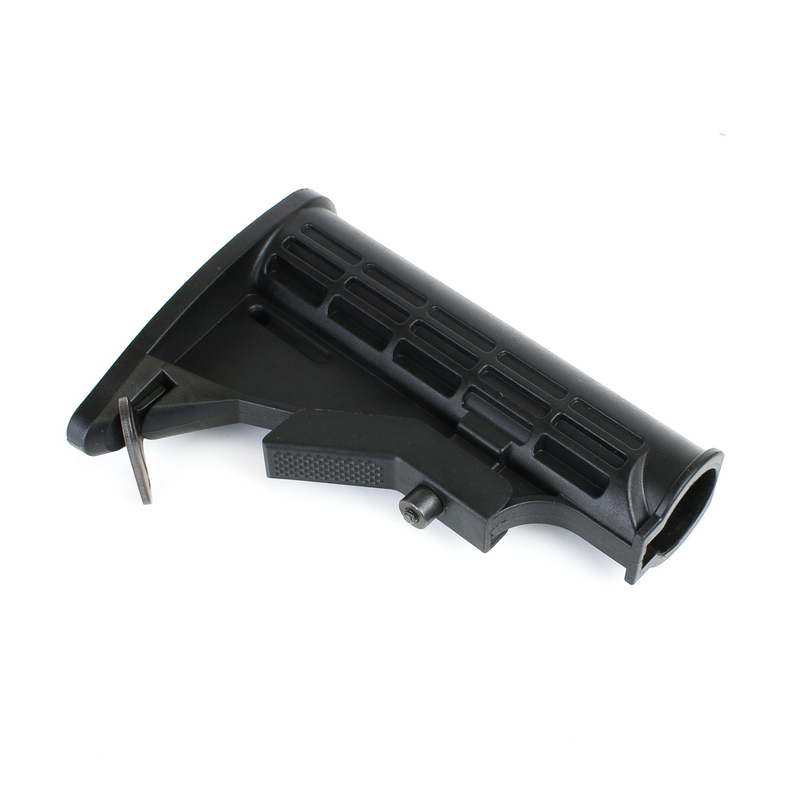 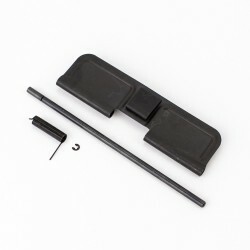 This is our standard AR-15 Ejection Port Cover Assembly in black. 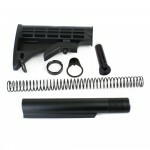 Includes:Ejection Port Cover Door.. 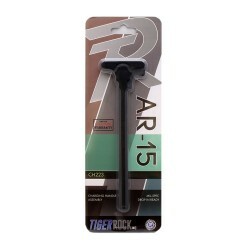 This is our standard AR-15 Micro Gas Block. 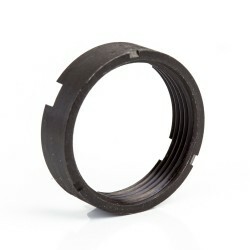 Designed with the minimum profile to fit under nearly an.. Features:Top Rail has 3 Picatinny slots6061-T6 Aluminum Construction.750 DiameterSolid Black finish.. 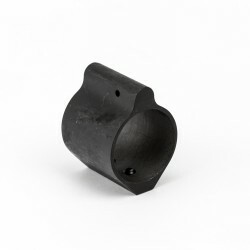 This is our .936" diameter Low Profile Gas Block designed to accommodate the larger barrel, yet fi..
Our steel Mil-Spec AR-15 Forward Assist Kit comes complete and ready to install with all black finis..
Standard single-sided pointer on the face easily identifies Selector position when installed. 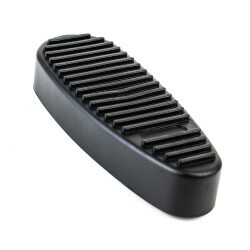 Featu.. 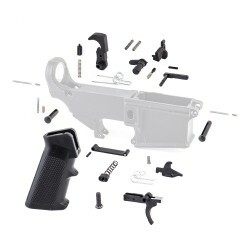 When installed the CA Legal Magazine Button requires the shooter to use a tool to drop a magazine f..
Part of a Delta Ring Assembly and used to attach the barrel to the upper receiver when using a Drop-..
Protects the quad rail and gas block from debris. 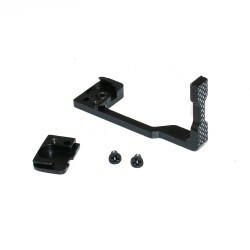 Mounts in place using 4 screws. Features:6061-T6 .. 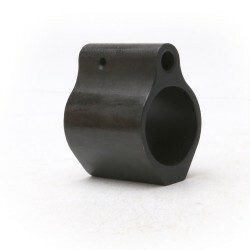 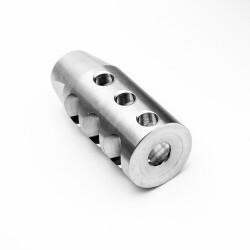 This nylon mesh ammo catcher attaches to the handguard or lower receiver and fits over the ejection ..
Each of our Bolt Carrier Group Assemblies is made in the U.S.A. and feature full-auto capability.. The Rogers Super-Stoc Deluxe rifle stock “RSS” is the ultimate refinement in AR/M4 stock technolog.. 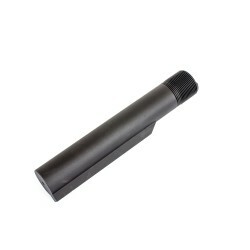 This is our standard 6-Position Mil-Spec buffer tube/receiver extension. 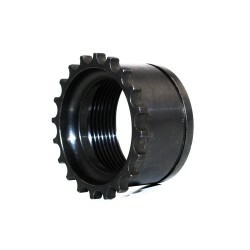 It's made of durable CNC .. 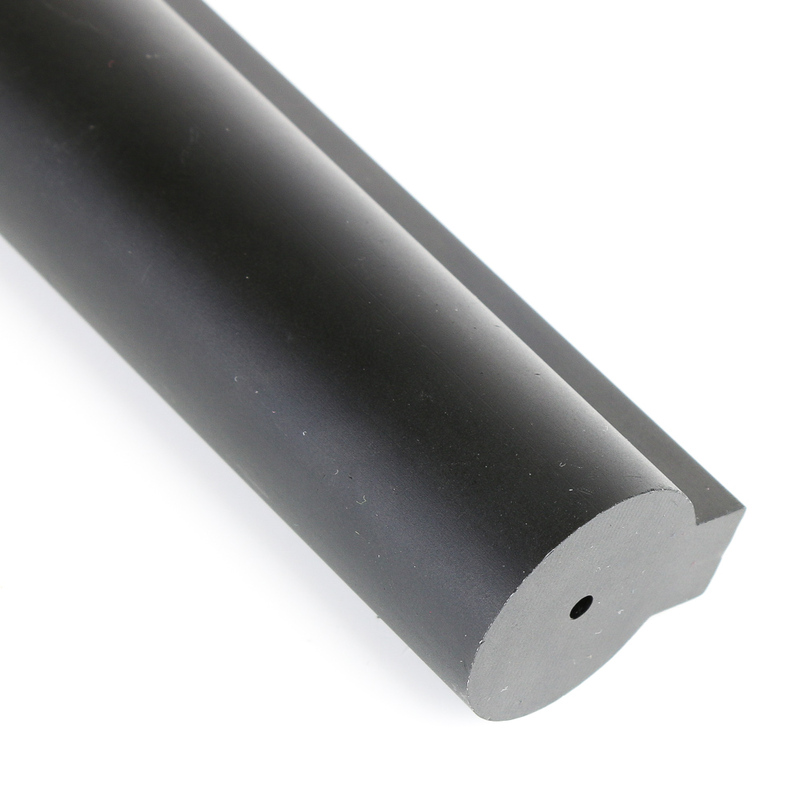 This is our standard AR-15 carbine buffer tube/receiver extension castle nut in matte black. 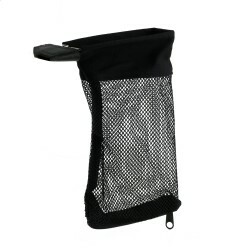 It fits.. 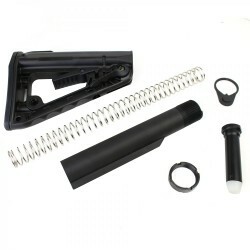 This 1" thick Deluxe combat style buttpad has an ergonomic, slip-on sleeve design with lip re-enforc..
Our AR-15 Lower Receiver Parts Kits (LPK's) include everything you'll need to put together a well-fu..
Our AR-15 Lower Receiver Parts Kits (LPK's) include everything you'll need to put together a wel.. 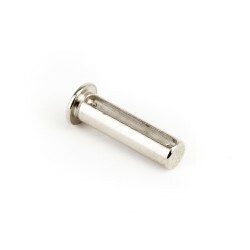 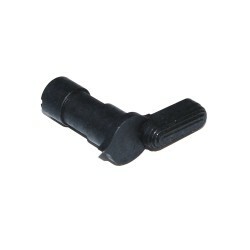 This is our standard length black pistol grip screw with a low-profile hex head. 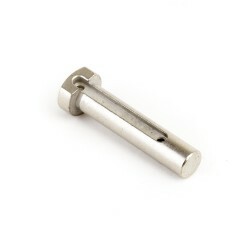 Stainless steel Loc.. 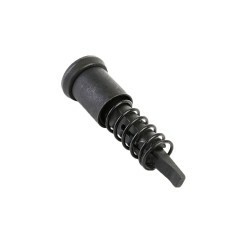 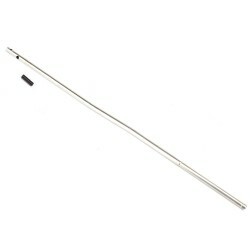 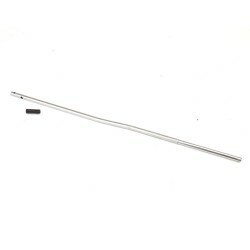 The extended and grooved head on the pin makes separating the upper and lower receivers easier and f.. 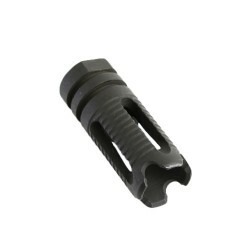 This heavy duty Mil-Spec Takedown Pin securely locks into and holds the upper and lower receivers in.. 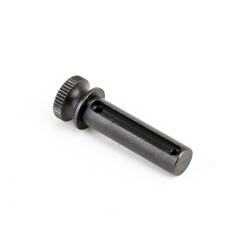 This heavy duty Mil-Spec Pivot Pin securely locks into and holds the upper and lower receivers in .. 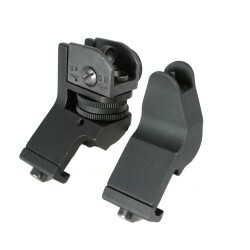 These back-up sights are designed to be lightweight, easy to use and durable. 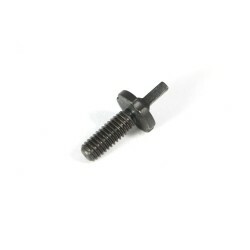 They attach to Picatin..
Our standard AR-15 Bolt Catch Assembly is constructed of hardened steel and machined to precise Mil-.. 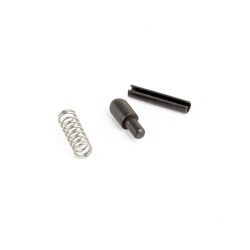 This is a replacement kit for the AR-15 Bolt Catch small parts. 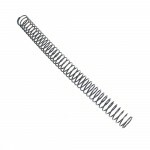 It includes the spring, plunger and .. 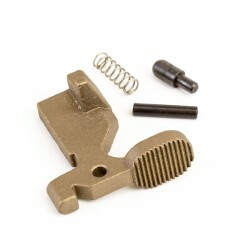 This extended lever attaches to the bolt catch and extends into the trigger guard, allowing ambide.. 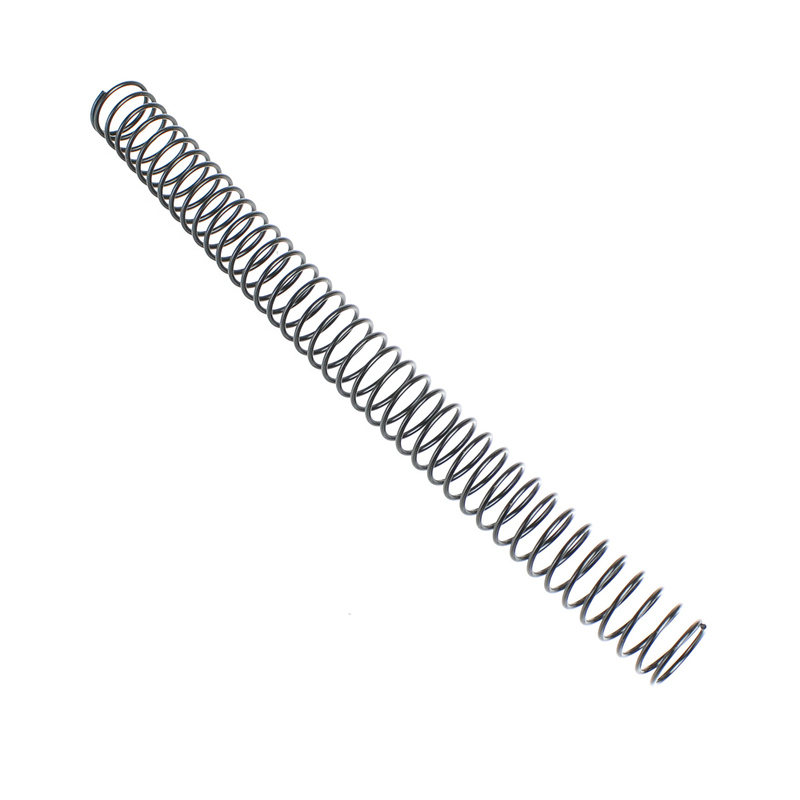 This is our standard A2 Front Sight Post with spring and plunger. 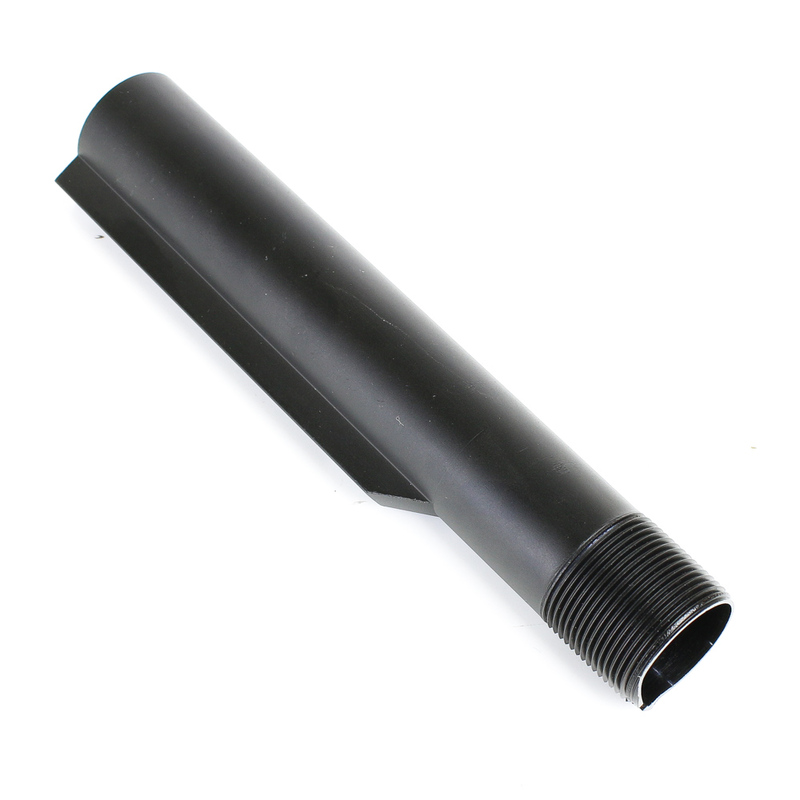 The post is precision machined for..
Our Silver Birdcage Muzzle Brake/Flash Hider with 5 slots and solid bottom is designed in the standa..
Our Silver Birdcage Muzzle Brake/Flash Hider with 5 slots and solid bottom is designed in the s.. 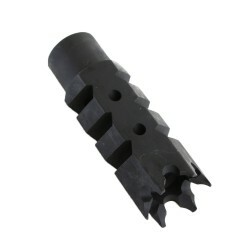 The "Phantom" muzzle brake has a unique profile with four large ports designed to reduce recoil and .. 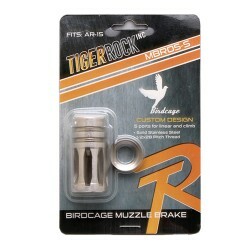 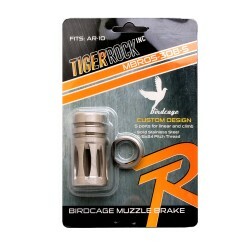 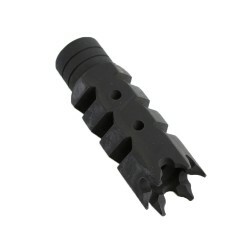 The "Shark" muzzle brake is designed with an aggressive profile and 6 short prongs for a unique look.. 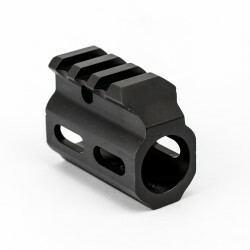 The "Shark" muzzle brake is designed with an aggressive profile and 6 short prongs for a unique ..
Our custom TPI Competition muzzle brake is designed to be sleek and effective. 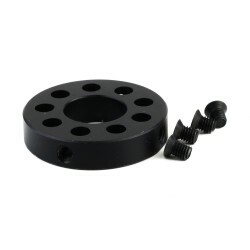 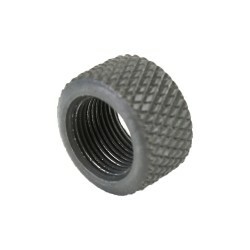 It has a total of 9 p..
Made of high quality steel with a parkerized finish this thread protector covers and protects the ba..